There are many elderly and disabled people in the UK that use mobility scooters and here at Mobility Nation we have a wide selection of scooters available. One of our popular products is the Grand Tourer – 4 wheel mobility scooter. It has been developed with your comfort and safety in mind and combines great performance and functionality. Find out more about the mobility scooters we supply by visiting our website. Portable mobility scooters are becoming more popular among disabled and elderly people, due to the fact that they can be easily transported without hassle. Here at Mobility Nation we supply a range of mobility scooters that include portable mobility scooters, lightweight mobility scooters and much more. Visit our website for more information on the scooters we supply. Here at Mobility Nation, we understand the difficulty of transporting mobility scooters in cars, due to the size and weight of the scooters. That is why we supply a wide range of car transportable mobility scooters to suit your needs. One of our popular products is 'The Explorer 4 - 4 Wheel Mobility Scooter'. This is one of our car transportable mobility scooters and it comes with 3 months free insurance! Find out more by visiting our website. 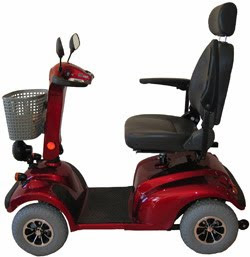 Here at Mobility Nation we have a wide range of mobility scooters available for disabled individuals at competitive prices. Some of the scooters we supply include lightweight mobility scooters, portable mobility scooters and much more. As well as providing mobility scooters we also supply a variety of scooter parts. Visit us online for more details or contact us on 02476 713 913.